Once in a while two remarkable musicians will put their heads together in hope it will produce something astonishing. One partnership that has truly lived up to that expectation is that of Beth Hart and Joe Bonamassa. Hart has her indisputable gruff blaring tone and Bonamassa weaves a web of blues guitar brilliance in their latest live release Live In Amsterdam. After a couple of studio albums this release is a live full throttle performance with all their raw talent on show. With rip-roaring tunes like “Sinner’s Prayer” and “For My Friends,” this 22-track album and DVD/Blu-ray captures the fiery heart of blues rock at its best. “Your Heart Is As Black As Night” shows off the more seductive and sensitive side to the duos’ set. The rendition is extremely immersive. Hart’s voice has the haunting capability of reaching deep inside the soul of a song for us all to hear. Bonamassa does what Bonamassa does best; toning down when required, then punching in with a slick riff or solo. 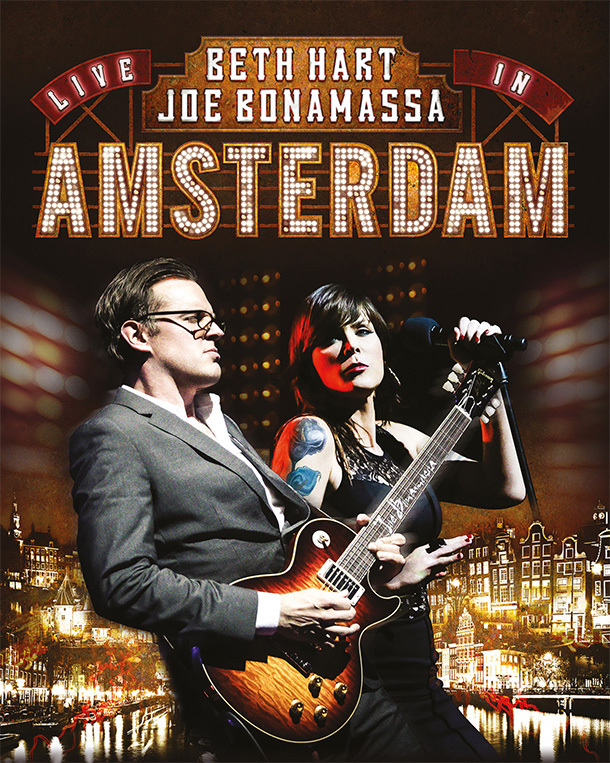 Live In Amsterdam is precisely what Hart and Bonamassa intended it to be. Not only does it show their individual talent and how well they combine, but also it pays homage to their influences, which helped them become the renowned musicians they are today. Listen and watch to witness blues rock in all its glory. Placing the gobos around the microphone at a close distance will help a large room with too much ambiance sound smaller. To be able to sell goods or services to any foreign country business documents should be translated to that language. think of,The sky is the limit.